Block Island is a vacation jewel lying 12 miles off the southern coast of Rhode Island. This is a place where nature clings to every pond, stone-walled trail, beach, and everything in between. It’s a paradise for cyclists and a haven for those ready to leave the trappings and demands of the mainland behind. people take the ferry from Port Judith which takes one hour and plants you in the hub of Block Island at Old Harbor. A Seasonal ferry service also runs from Newport RI and Montauk NY. Visitors and vacationers to Block Island are welcomed with warmth and open arms, but there’s an expectation that in enjoying the uniqueness of the environment here, you’ll also respect it. The island people share the beautiful surroundings with the abundant array of wildflowers, migrating birds, wildlife, and other people on Block Island vacations. 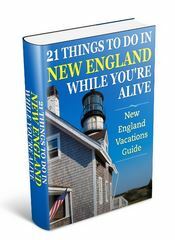 Coming to Block Island is a shift in time, with its rugged undeveloped reserves… and open field farmlands… and narrow roads lined with stone walls and wild roses. Block Islands invites you to relax in dress and time. It’s a chance for you to rediscover nature again. Block Island was formed from the soil and rocks of mainland New England, and left behind by the last glacier when it retreated. Evidence of this great glacier is everywhere, but none more so than the popular attraction of Rodman’s Hollow in the southwest part of Block Island. Roadman’s hollow is a great place to spend time and hike, and wonder at the massive forces that carved out this island gem for you to enjoy. You don’t want to miss the view from Mohegan Bluffs while on Block Island. If your visit is short just make sure it includes this trip. Take the Mohegan Trail from the village of Old Harbor out to the Bluffs. Mohegan Bluffs overlook the southern coast of Block Island, and on a clear day you can see Montauk, NY on Long Island, about 18 miles away. The cliff’s tower 200 feet above the shoreline and offer stunning views of the landscape and the Southeast Light. A steep set of wooden steps leads down to the beach below. The Bluffs were named for a battle between the local Manisses Indians and a marauding band of Mohegans, who were repressed at the base of the cliffs. 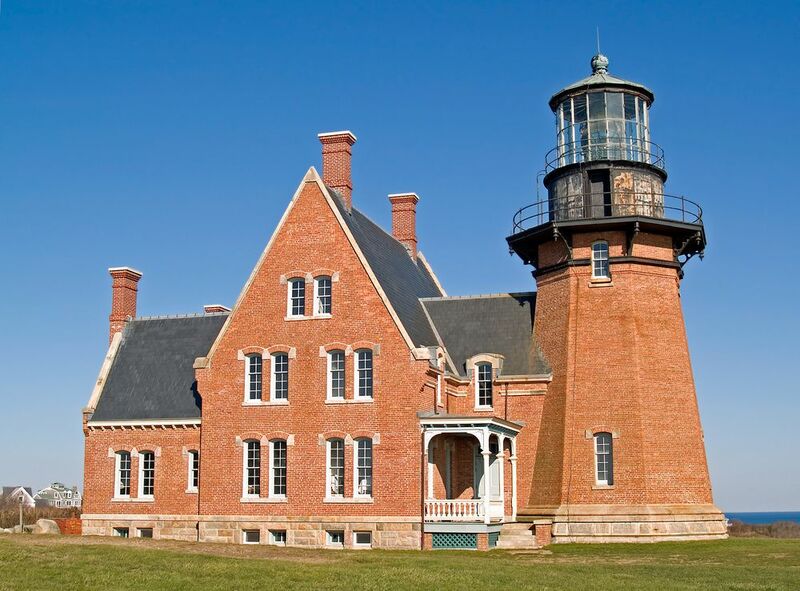 Block Island has two lighthouses: Southeast Light and North Light. Southeast Light sits atop Mohegan Bluffs and was moved back from a perilous position on the cliffs in 1993. This is an attractive redbrick lighthouse built in 1875, and contains a museum inside for you to explore. North Light is at Sandy Point on the northern tip pf Block Island. This is the fourth lighthouse in this location and was built in 1867. Two of the previous lights were washed away and the third was dismantled because its position did more harm than good. Located on the North End of the Island the Block Island National Wildlife Refuge is now a 127-acre habitat for wildlife, and for visitors to enjoy the wonder of this natural environment. If you’re a bird-watcher then the fall season offers a spectacular opportunity to view migratory birds, especially songbirds. Bring your camera and binoculars for a very special trip to a very special refuge. The shoreline area runs from Settler’s Rock to Sandy point and the North Light, and then from here to Great Salt Pond. This is an ideal area for walking, bird watching, and breathtaking views. Block Island beaches are the first stop for many first time visitors. The choices are many and varied. It has 17 pristine miles of gorgeous beaches. The two-mile Crescent Beach area consists of four beaches: Frederick J. Benson Beach, Scotch Beach, Mansion Beach, and close to the ferry landing is Ballard’s. These tend to be the most popular, but don’t forget just a few minutes bike ride away are deserted beaches, where you can enjoy your own spot of peace and harmony. For such a tiny area, Block Island boasts an amazing 365 ponds – that’s right… one for every day of the year. So as you bike and hike around the island, it doesn’t matter where you’re at… you’re only a few feet away from water. Manisses Animal Farm, a petting zoo and aquarium. Settler’s Rock, located at the end of Corn Neck Road near a beach on Rhode Island Sound. The rock marks the landing point of European settlers of Block Island in 1661. For the more adventurous you can go Kayaking from New Harbor in the Great Salt Pond.. If fishing is a pastime of yours then you’re in for a treat. With miles of open beaches you can fish from the beach every day for a year from a different spot, or take a Charter boat leaving from New Harbor. Bluefish, striped bass and flounder abound in the area. 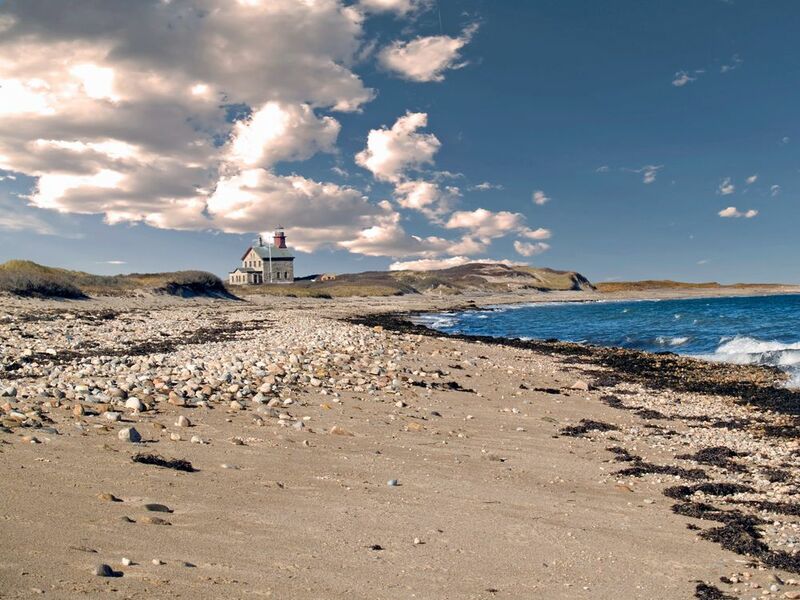 While Block Island is a great place to visit for the day, you’ll get more time to enjoy the island if you stay overnight, or even longer, at any of the varied lodging available. But advanced booking is a must. 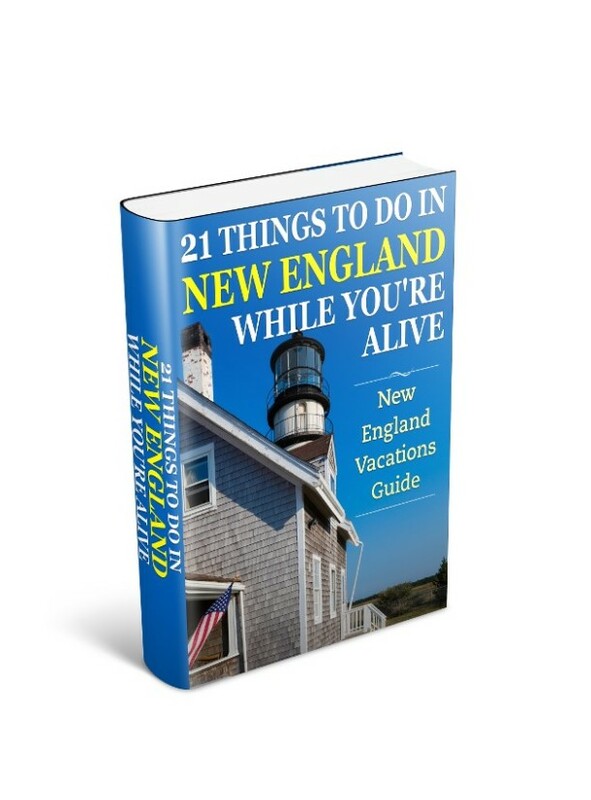 Inns and bed and breakfasts abound on the island, with many located near Old Harbor and New Harbor areas. To discover where to stay deals, and compare rates and amenities with a trusted and professional travel organization then check out Block Island lodging and accommodations.